The greatest base stealer of his era, St. Louis Cardinal Louis Clark Brock was only the 14th player to have 3,000 hits. After three seasons with the Chicago Cubs, Brock joined the Cardinals in 1964 and fueled their World Series victory. During his 19-year career, the outfielder stole an unprecedented 938 bases and broke several World Series records, including hitting .391 in over 20 World Series games. Exemplifying the spirit of baseball on and off the field, Brock earned the Roberto Clemente and the Jackie Robinson Awards among many others. 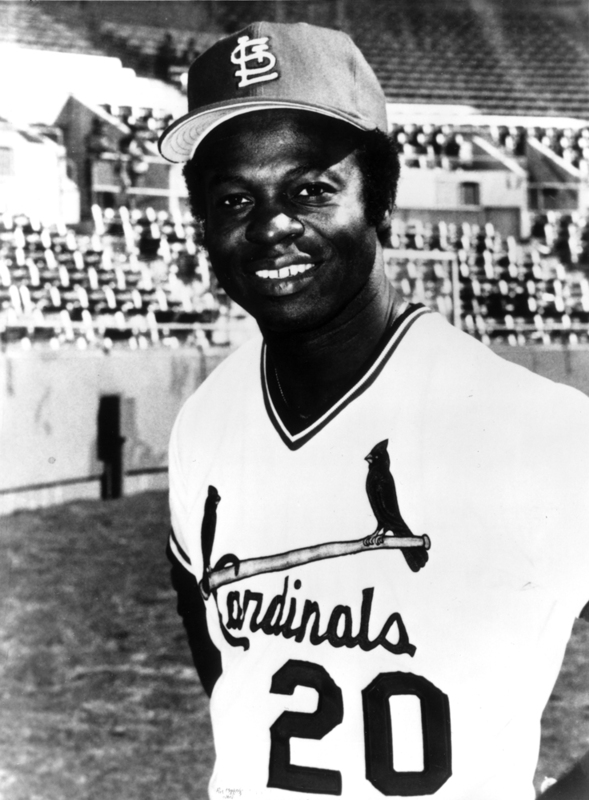 A Cardinal until he retired, Lou Brock entered the Baseball Hall of Fame on the first ballot in 1985. St. Louis Cardinals In 1974, Lou Brock of the St. Louis Cardinals, stole 118 bases to set a single season record. He finished his career with 938 stolen bases, a record which has since been broken by Rickey Henderson.